Just a 10-minute walk away from La Crosse Convention Center, this hotel is located off of Interstate 90 in downtown La Crosse and offers complimentary hot breakfast and free WiFi. 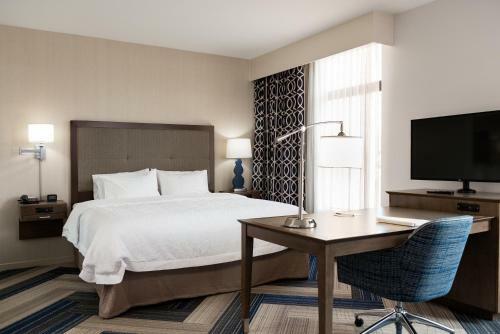 Every room at Hampton Inn and Suites La Crosse Downtown provides a 42-inch flat-screen HDTV and a work desk with an ergonomic chair. A microwave, small refrigerator and coffee maker are also included. Guests can swim in the indoor pool, workout at the fitness centre or relax at the outdoor patio on-site. Guests traveling for business can appreciate the 24-hour business centre and conference room at the hotel. There is also a snack shop. Riverside Park is 2 blocks away from the hotel. Great River State Trail and La Crosse Regional Airport are both a 14-minute drive away. 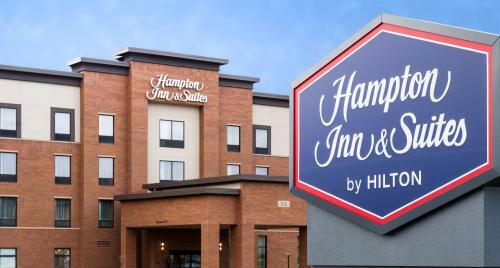 the hotel Hampton Inn and Suites La Crosse Downtown so we can give you detailed rates for the rooms in the desired period.